Credit problems and identity issues can be difficult to guard against during the best of circumstances, but for someone with a diagnosis of Alzheimer’s disease – a form of dementia that affects thinking, memory and behavior – preventing identity theft and maintaining good credit can seem impossible. As many as 5.5 million Americans were living with Alzheimer’s disease in 2017, according to the Alzheimer’s Association. The number of Alzheimer’s victims is on track to triple by 2050, meaning up to 16 million Americans could be living with the disease. For many individuals, money management problems such as unpaid or unopened bills, extraneous or unusual purchases and numerous ATM cash withdrawals are common financial symptoms of Alzheimer’s or dementia. . These types of smaller infractions could negatively affect an Alzheimer’s patient’s credit or make them easy targets for identity theft. Alzheimer’s disease and dementia both take a physical and emotional toll on every family they touch. Fortunately, there are a few ways to lessen or eliminate the financial risks associated with Alzheimer’s and dementia. Appoint a durable power of attorney (POA) for finances. An individual has the authority to make financial decisions on another person’s behalf with a POA. However, a POA is created before a person becomes incapacitated and doesn’t involve the courts. Many times, people give their agent (the individual acting on their behalf) legal authority over finances, but ultimately, can grant their agent as much power as they wish. For example, the agent’s authority may be limited to filing taxes and that’s it. The decision to go with a POA may be dependent on how advanced the individual’s Alzheimer’s or dementia has progressed. With a revocable trust, a family member or other trusted individual is put in charge of the assets of the person with Alzheimer’s. Since the trustee would manage the money, the person with Alzheimer’s disease would need to confer with the trustee before making large expenditures, says Krooks. If the Alzheimer’s disease has become so advanced that the person is unable to make sound decisions, another legal recourse is to convince a judge that the person is incapacitated or unable to manage his or her own affairs. If a judge agrees, a guardian or custodian would be appointed as a conservator to make decisions on the person’s behalf and take control of his or her checkbook and credit cards. A guardian would then have the legal authority to take financial action, such as canceling the person’s credit card account. Because your loved one would lose all control over his or her financial affairs, this option is typically a final resort. Even if you do take legal precautions on behalf of an Alzheimer’s patient, fraud is also a major hazard for Alzheimer’s victims. Unfortunately, fraud tactics in 2018 are more sophisticated than ever, and Alzheimer’s patients are often easy targets. Thieves may peddle items as innocuous as magazine subscriptions or lottery tickets, and it’s possible that even these “smaller” charges can wreak havoc on an Alzheimer’s patient’s credit and finances. Medical identity theft: When an Alzheimer’s patient’s name or health insurance are used by a thief, it’s considered medical identity theft. A criminal may obtain prescription drugs, go to the doctor using your loved one’s insurance card, and so on. You can guard against this by helping your loved one keep track of health plan statements or Medicare Summary Notices. It’s important to check the name of the provider, the date of service and the actual service provided on all medical billing. Estate identity theft: This occurs when a thief steals an Alzheimer’s patient’s assets and property. It can also occur after an individual is recently deceased (potentially an Alzheimer’s patient’s spouse), and the criminal collects tax returns, Social Security checks and other benefits. Unfortunately, due to the trappings of the legal system, it can take a long time for legitimate family members and executors to untangle an estate identity theft situation. Tax fraud: When a Social Security or Employee ID number is stolen, a criminal can simply collect a victim’s tax return. Once a criminal has your loved one’s personal information to file a fraudulent tax return, he or she can turn around and use your loved one’s identity to commit other crimes as well. Phone scams: When telemarketers contact Alzheimer’s patients by phone, it can spell disaster for any already-confused patient. Telemarketers are often on the hunt for a victim’s personally identifiable information (PII) and financial information, such as credit card numbers. Military identity theft: This involves stealing service members’ personal information to claim military benefits, and it works a lot like medical identity theft. Wire transfer fraud: This happens when a criminal obtains a victim’s personal information and/or online banking information to electronically transfer money from their financial accounts. These types of crimes can often go unnoticed for 30 days or more, or until the victim sees a bank statement. There are several steps you can take to protect a relative from solicitation, and prevention could be the most effective tool in your arsenal. The Federal Communications Commission (FCC) regulations prohibit telemarketers from using automated dialers to call cell phone numbers without prior consent. The Do Not Call Registry, operated by the Federal Trade Commission (FTC), is available at donotcall.gov. You can also call 1-888-382-1222 (TTY: 1-866-290-4236) from the phone number you’d like to register. Putting your loved one on the Do Not Call Registry ultimately protects them because once you’ve opted them out of all telemarketing inquiries, any solicitation your loved one does receive is most likely going to be fraudulent. The Fair Credit Reporting Act (FCRA) allows consumer credit reporting companies to make offers, called “firm offers” of credit or insurance, to anyone, including Alzheimer’s patients. 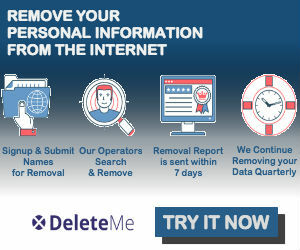 You can visit optoutprescreen.com to take your loved one’s name off any of these lists so they are not solicited. Spurred by consumer complaints about identity theft and fraud, all states have enacted credit freeze laws that allow victims of identity theft to bar new credit. Most states allow all consumers to freeze their credit. Credit freezes, also known as security freezes, place a lock on access to a borrower’s credit report. With a credit freeze in place, lenders and other companies cannot view the borrower’s credit. Freezes prevent your loved one from gaining access to new loans such as credit cards and mortgages and also keeps fraudsters from opening new accounts in that person’s name. In many states, it’s the law that you have to be a conservator in order to freeze an elderly person’s credit. If the unthinkable happens and an Alzheimer’s patient unwittingly destroys his or her credit by missing payments or accidentally taking advantage of multiple credit card offers (and maxing out all credit cards in the process) there are some steps you can take to reinstate a good credit score. Set limits on transactions by giving your loved one a prepaid debit card, which allows him or her to make purchases only in smaller increments and are also front-end loaded with smaller amounts of money. You’ll also be able to set spending limits on a prepaid debit card and prohibit huge purchases. Monitor banking activity through an Alzheimer’s patient’s bank, checking online frequently for any out-of-the ordinary transactions. If you have a joint account or if you have financial power of attorney, some banks will require two signatures if the person with Alzheimer’s disease makes a withdrawal above a certain amount. Utilize automated bill-payment systems through your bank for services such as utilities, phone, internet as well as the mortgage and more. That way, your family member won’t accidentally pay the same bill twice. Utilize the authorized user option on a ​credit card. By allowing your loved one to become an authorized user on a credit card with you, you’ll be able to cap your credit card limit and put more restrictions on the credit card you’ll share. In addition, your family member wouldn’t be responsible for paying for the credit card — that responsibility would fall to you. The book “If Something Happens to Me” by Joe Hearn was featured on The Simple Dollar. In one easy checklist, the author lists all important documents you should gather for your loved one and also highlights key questions to ask regarding his or her financial, legal and lifestyle situations. Make a list of all accounts and where they are held. Get contact information for their advisers. Consolidate and simplify accounts where possible. Make sure the accounts are titled correctly. Offer to sit in on a meeting with their financial adviser to review investments, make sure the asset allocation is appropriate and make sure there are adequate resources to support your parents’ lifestyle. Make sure all beneficiary designations are up-to-date. Make a list of all insurance policies (life, health, long-term care, etc.) and where they are located. Get contact information for their insurance advisers. Offer to sit in on a meeting with their insurance adviser to see if a long-term care insurance policy would be appropriate. Review homeowners, auto and umbrella liability insurance to make sure they are adequate, appropriate and up-to-date. Review health insurance coverage and consider whether it would be appropriate to add a Medigap policy to pay for costs not covered by Medicare. Do they have a will or estate plan? If so, does it reflect their current wishes (i.e. does it pass property to the correct people and have the correct people taking charge)? Do they have an up-to-date durable power of attorney for finance? Do they have an up-to-date durable power of attorney for health care? Does their health care power of attorney contain a health-care directive that spells out their wishes for life-prolonging care? Is the current housing situation suitable? Do any changes, updates or modifications need to be made to the house? Have they made contingency plans for illness, disability or death of a spouse? Is there money available to pay for those contingencies (e.g. savings or long-term care insurance)? Make a list of their doctors as well as any medications they are taking. Help coordinate benefits between care providers and insurance companies. A well-thought out legal plan (as well as thorough organization in general) are the best ways you can combat identity theft and credit issues with your Alzheimer’s or dementia patient. What’s not widely acknowledged in most legal or financial guides is that these decisions can be heart-wrenching. In addition to legal support, it’s a good idea to garner emotional support for you and for all of your family members as well.